It is easy to start a business with an idea that business should earn better profits than any other businesses. But starting a business without any idea about profit and thinking about receiving an idea of living a better life is better. In simpler words this type of business helps a businessman or an entrepreneur to change their lifestyle. And that is why these entrepreneurs and their business is called as a lifestyle entrepreneur. Being a lifestyle business entrepreneur or a lifestyle entrepreneur, a person need to figure out a way of changing their own lifestyle and for the people who work with them. If a person is willing to start a business and thinking of starting a lifestyle business, then that person needs to plan his business properly. Because starting a lifestyle business without plan might not even work for anybody associated with it, but people still believe in going forward with it without any strong reason. And that is because the sole purpose of such business is that they help to change the lifestyle of an entrepreneur along with his team’s. Every startup business requires its own time to settle. And time management is one of the major issue with lifestyle business. If a person started a business of lifestyle entrepreneur, then he should be capable of handling any sort of issues. And especially he is supposed to handle time management perfectly so that there won’t be any sort of difference of opinion within anyone. Therefore, it is necessary to have an understanding about lifestyle entrepreneurship. 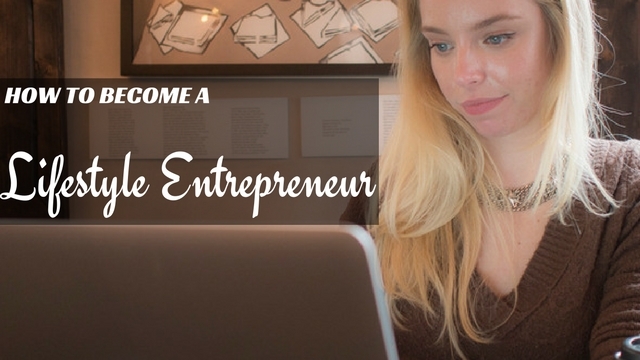 Whenever a person starts a business, then it is quite clear that he needs to be prepared for all the odd things which is going to happen while running a lifestyle business. And before starting a lifestyle business a person need to figure out the perfect targeted audience for the lifestyle business. Therefore, once the entrepreneur figure out the actual target audience to whom they can pitch this business and attract them towards it, then it is possible that the business will eventually fall on the track for the good of an successful entrepreneur. There is a possibility that when a person thinks of being, a lifestyle entrepreneur, then it is quite obvious that he is in desperate need of changing their lifestyle. Therefore, a person need to plan a lifestyle business with a fresh and creative idea which can help him and his team to motivate themselves to accept the change happening around the place. Therefore, people need to avoid stress and think about positive stuff which can help themselves and change their entire life. It is possible that starting a lifestyle business might seem as a spur of the moment thing, but whenever a person feels depressed of their life. And intend to create change in their life, then they should start a lifestyle entrepreneurship for the sake of changing their desperate and depressed life. Therefore it is necessary to understand the need of change if a person really wants to see a difference with their lifestyle. Moreover, this change of lifestyle might also help them to be open about themselves. There is a quite great possibility that when a person decides on starting a lifestyle habit, then more of the positive or negative effects of that habit shows in one’s own life. Therefore, as a word of advice if a person is thinking of starting a lifestyle entrepreneurship, then it is necessary to understand that along with starting a business a person should think of involving certain habits specially good habit which can help them improve themselves better. When it comes to lifestyle business a person should be aware of all the odds that can effect a persons personal and professional life. It is cliché that when a person starts a business with an intention of changing their lifestyle in a good way, then there is a possible scope of experiencing bad days as the business is for the sake of changing lifestyle but not for the profit’s sake. Therefore, it is necessary to be prepared of all the uncertain events before entering a lifestyle entrepreneurship. Sometimes people might wonder why they started a lifestyle business, when there is plenty of other options for someone to change their life. Starting a lifestyle business is not about the profit, but it is about changing their entrepreneur life inside and out. Some people might think it as a charity case, but it is just about bringing something new every day. And that is the main thing about starting a lifestyle business. It is possible that when it comes to lifestyle business a person need to be clear of all the possible chances of surviving in this big business world. Therefore, it is necessary for a person to understand all the necessary and minor details about the business. A person without any idea about such business might not change his life, but actually he might destroy his whole life without any strong reason. Moreover, it is not that easy to handle. While starting a business of such high credibility of risk a person should prepare himself for all sorts of uncertain events. Therefore, if they really want to change such uncertain events affecting their personal life, then they should take a strong step towards starting a foundation for the lifestyle business sake. Moreover, this foundation might create a possible chance of surviving in the future of this fast running business market. Finally, the bottom line is that at the end of this discussion about becoming a lifestyle entrepreneur, a person need to understand one thing that starting a lifestyle business or being a lifestyle entrepreneur might change one’s life completely upside down in a positive way. Therefore, if anyone interested on becoming a lifestyle entrepreneur, then they should read all the discussion about it, so that there won’t be any sort of surprises later.